The Herbst Pavilion at Fort Mason was abuzz with new and expecting parents last Sunday during the San Francisco Birth & Baby Fair. 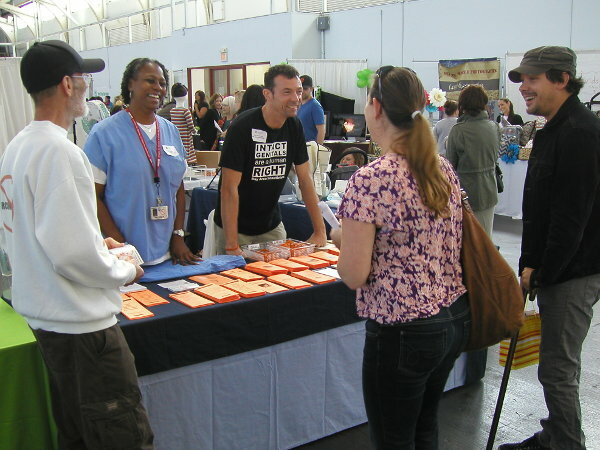 Among the childcare product and service exhibitors was Bay Area Intactivists, a local human rights organization working to end infant circumcision. The intactivist's table was full of bright orange pamphlets covering topics such as medical organization position statements (none recommend infant circumcision), guidance for protecting boys from forced foreskin retraction, circumcision's impact on breastfeeding, and non-surgical foreskin restoration for men wishing to regain sensation. Bay Area Intactivists will have their next booth at the Castro Street Fair.